Ciao to everyone near & far! Hope everyone has had a fantabulous few weeks since my last post! Now YES I promised a shoe post and YES my fashion posts have been a ghost of late, but the truth is I can’t get over Italy & the reality of my trip being over. 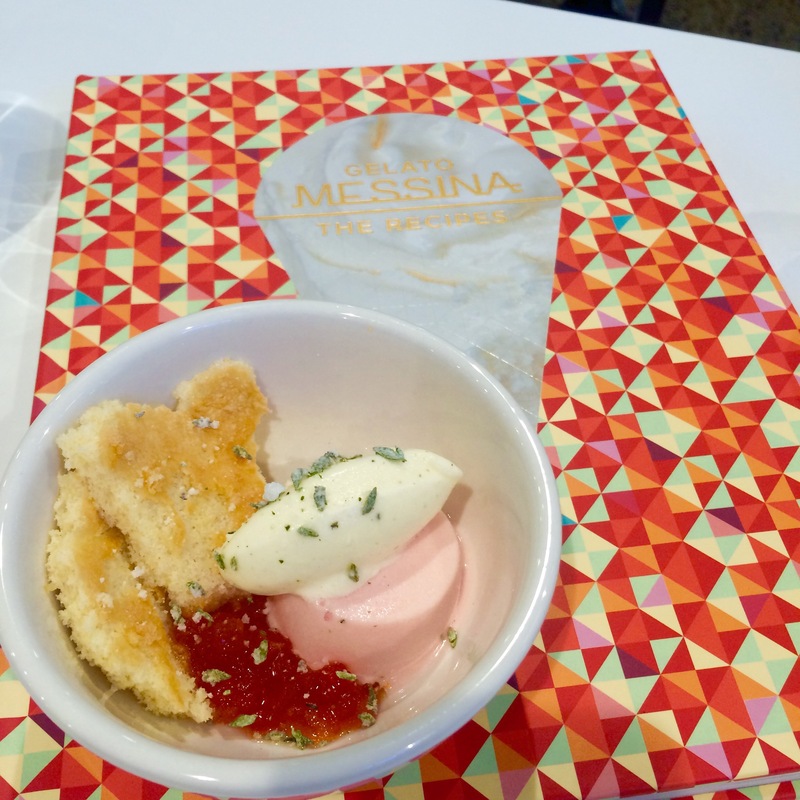 Every night I wake up dreaming of Italy … It’s somehow stamped a thousand prints on my head & heart … So much so that the weekend upon my return I ended up at a Messina Gelato Appreciation Class. It’s 7.30am and the flutter of panic filled my head as I had slept in … Scrambling in the dark (& possibly making far too much noise) I managed to get myself somewhat together, in a taxi and on route to Gelato Messina. Awaiting at the shop it’s a 9am start and the sleepiness of the class subsides as the complimentary coffee & tea kick in alongside with the excitement! 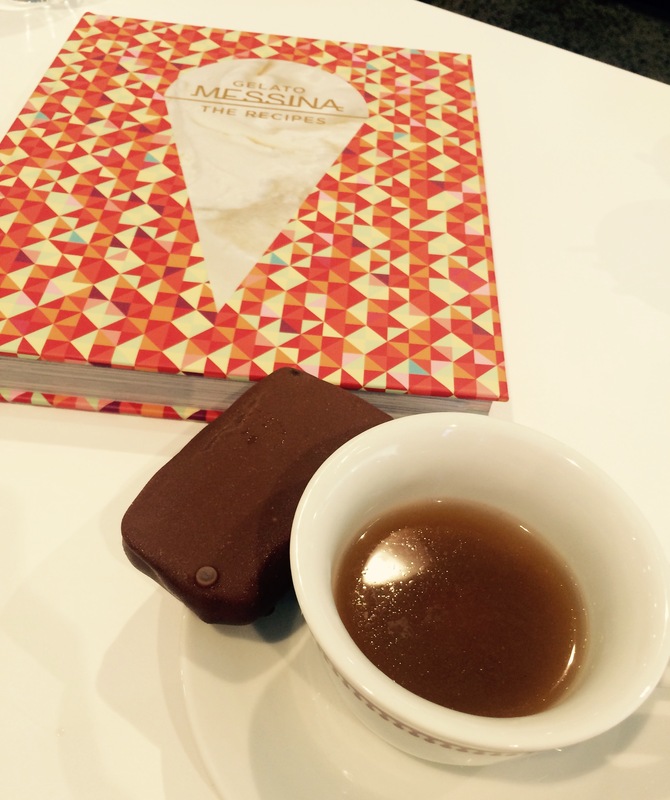 Although the shop is empty in gelato, we know we are about to experience something truly special … Gelato Messina is simple – inspired by their Italian roots with splashes & flourishes of creativity! Italian Gelato with a quirk – but still with it’s deliciousness. As the little mini-van drove us to Messina HQ, my fairly empty stomach was ready for what was going to be a truly decadent breakfast in this city of Sydney! Sitting down in a modern, open plan glass room – you can see all the makings of the gelato process & machinery in the factory. Each table had a menu for the morning (the degustation menu does change often) … plus a Messina Gelato Cookbook (create your own gelato) … a glass of refillable water (so parched from all the sweetness hehe) and cute colourful plastic spoons for the tastings. 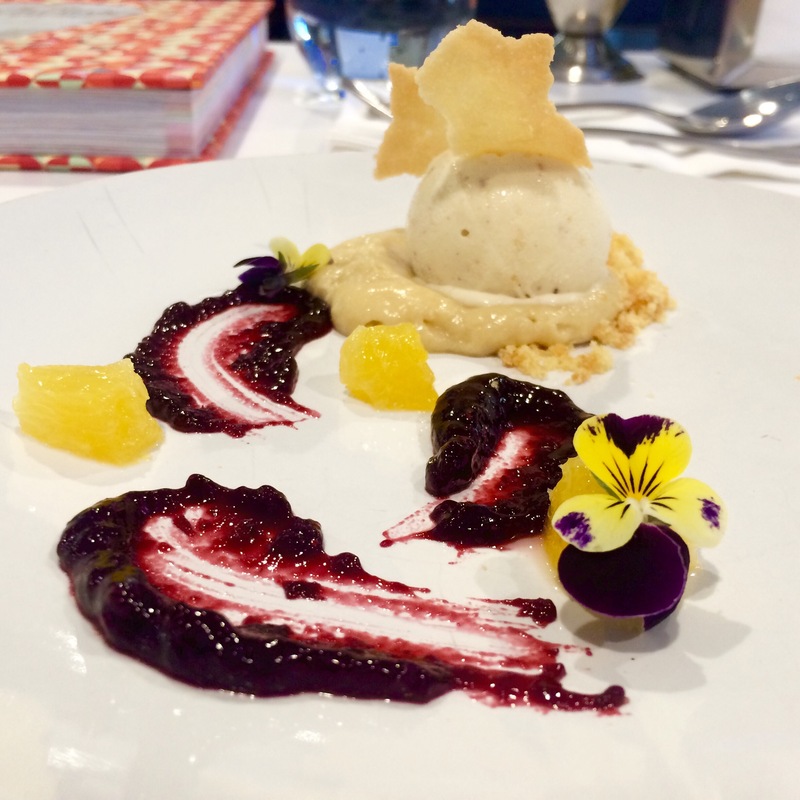 Presenting … Breakfast at Audrey’s: Pancake gelato, maple mousse, tuile, blueberry jelly, orange segments and edible flowers. This was breakfast and a good introduction to the world of decadent & delicate gelato dishes for your tastebuds! It had the light fluffy sweet breakfast dish that you would usually order – a pancake dish drizzled with maple syrup & fruit – all constructed & centred around gelato components! Very clever & finishes well on the palate with the fresh orange pieces … This is visually a very pretty dish & a pleasing delight to enjoy! Watermelondria: watermelon sorbet, tomato concassé, almond cake, white chocolate, szechuan mousse & thyme crystal … Now honestly when I read this on the menu I was slightly scared – wasn’t sure if I was going to enjoy it! Who would have known that sweet & salty can match so well! 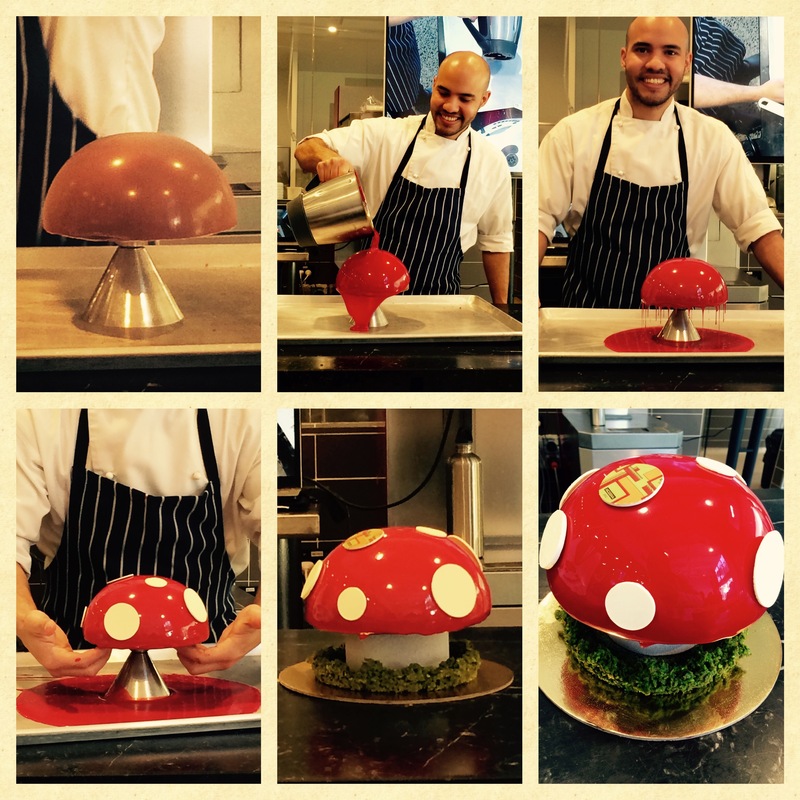 This dish was very creative, inventive & daring! The watermelon sorbet was refreshing, tomato concassé added some saltiness, almond cake was the neutral base that balanced out my palate, white chocolate & szechuan mousse was delicate & thyme crystal added a unique texture crunch to the dish. I enjoyed this but if I spotted it on the menu – I don’t think I would ever dare to try such combination! Bitter Tart: coconut gelato, chocolate biscuit crushed, lemon chantilly cream, framboise pépins (rapsberry seeds) … This dish was my absolute favourite – give me this on repeat! Simple, sweet & with some tartness. 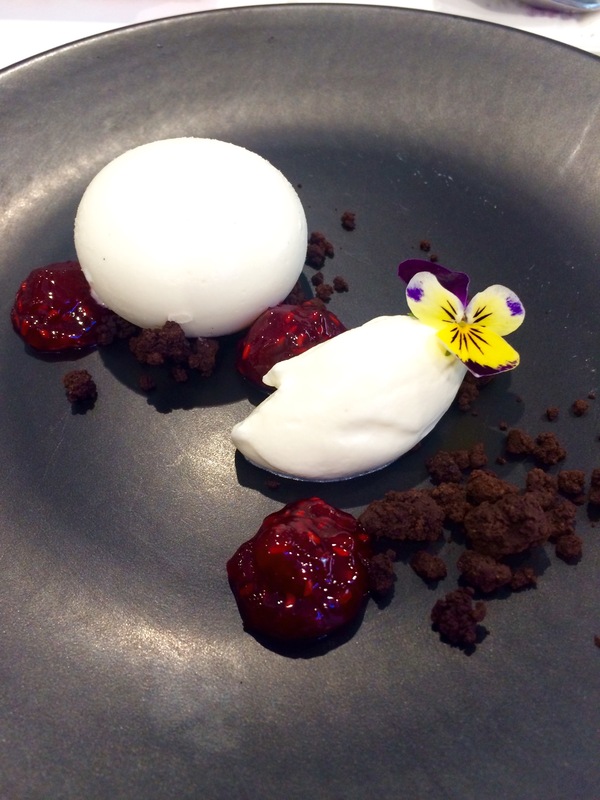 For a starter, coconut gelato – get this right and I’ll have it everyday. Gelato perfectly shaped & the spoon slices it so cleanly! Placing it on my mouth, it delicate dances and melts with hues of coconut. Lemon chantilly cream was light & airy … Spooning a little bit of everything is exactly like a lemon, coconut tart with tickles of raspberry. Tim Tam Treat: 1 Tim Tam dipped in chocolate gelato frozen … Served with a saucer hot tea with a chocolate type domed mousse that will melt – bite both ends of the biscuit and drink it up through the biscuit … and the eat the melted Tim Tam of course! HELLO!? … What an incredible creation and just filled with so many flavours all fusing together! Wrapping up the morning we return back to Darlinghurst Messina to have a “all you can eat sample” of everything – that’s if there was still room in one’s belly! … Grand Finale is you get to select a tub of your own to take home (up to 3 flavours) … My selection: Mandarin (in gelato form – so fresh), Mango (delightful) and Coco Republic – a special gelato concoction of coconut gelato with passionfruit curd & chunks of pineapple cake. So … What a MORNING! It’s hard to believe how much gelato eating one can do! 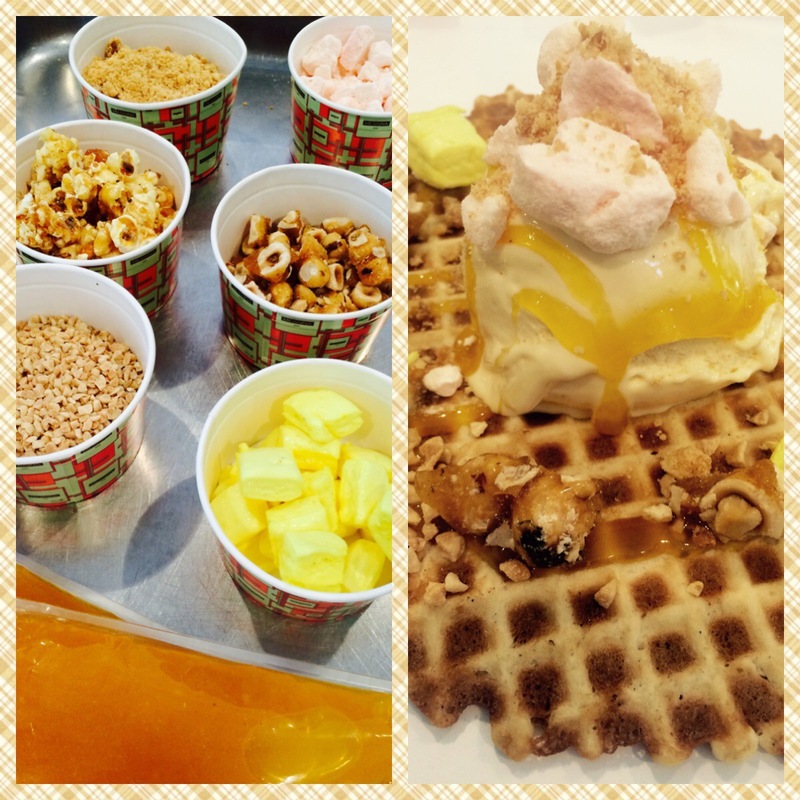 It was gluttonous, it was indulgent, it was heaven … Worth it … Gelato Lovers! Do yourself a favour and book yourself into such a class … Winter or not, Gelato is the way to my heart! Til next time … Much food love! Wow what a morning you had. Yum yummy! I love Gelato. I remember when I was in Italy, i had one sometimes two a day. Lived it. And yes I also dream of Italy. I often take myself back to the alleys of Venice reluving each sight, each sound? Each smell. 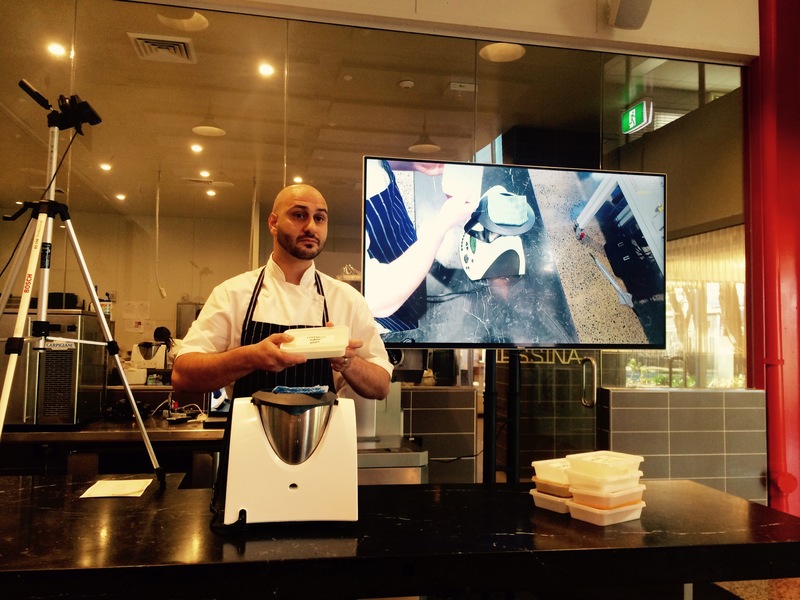 Thanks for reading … Who would have known how exciting gelato can be!